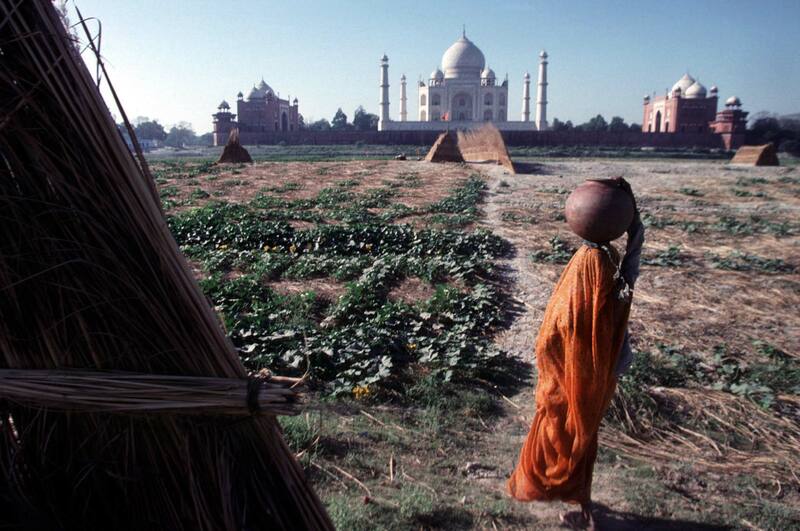 A woman carries water on her head across from the Taj Mahal in Agra, India. Twain was disappointed by the Taj: "... The Taj is a disappointment, though people are ashamed to confess it. God will be a disappointment, to most of us, at first... everything that is much described is bound to be a disappointment at first experience."